Dr. Jaime R. Garza M.D., D.D.S., F.A.C.S. is a native San Antonian who specializes in the practice of plastic surgery and reconstructive surgery. For two decades he has been a pioneer in the south Texas medical community. Double board certified and skilled in the art and science of plastic surgery, he continually searches for and implements the best treatment options for his patients. In addition to his clinical practice, Dr. Garza is a former chief and Associate Vice President; now clinical professor of plastic surgery as well as otolaryngology at the University of Texas Health Science Center and is credited with having built one of the most successful plastic surgery training programs in the nation. 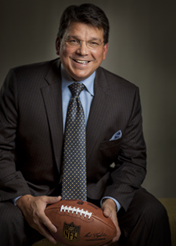 A former college football player before entering medical school, Dr. Garza has served as team or tournament physician for several college and professional teams including the NFL’s New Orleans Saints and the and U.S. Olympic track and field team. Currently, he is a team physician for the University of Texas at San Antonio. In 1993, he was inducted into the Tulane University Hall of Fame, and in 2001 he was inducted into the National Hispanic Sports Hall of Fame. Dr. Garza speaks frequently to a variety of civic and professional organizations and has shared the results of his research and expertise through ten books or chapters and dozens of published papers and abstracts in medical journals. Dr. Garza specializes in cosmetic surgery with a specialty in Rhinoplasty and nasal surgery as well as sports-related facial injuries. His outstanding work and dedication to excellence have earned him numerous honors and peer recognition. Dr. Garza was named #1 Cosmetic Treatment provider in S.A. 2009. Stadia Med Spa was also named the #1 Medical Spa in the Greater San Antonio area 5 years in a row since 2009. Past-President of the Texas Society of Plastic Surgery, Dr. Garza was also named Businessman of the Year in 2009-2010 by the S.A. Hispanic Chamber of Commerce. In 2005 2006, 2007, 2010, 2011, 2012 & 2013 Texas Monthly listed him among “Texas’ Super Doctors." We are HIPAA compliant. A full statement is available upon visiting Dr. Garza’s office.